The SkillsFuture Employer Awards honour exemplary organisations, which lead the way in championing employees’ skills development and building a culture of lifelong learning in their workplace. It is a non-monetary, national-level recognition award. Application close on 31 Mar 2019. The SkillsFuture Fellowship recognises Singaporeans with deep skills and are lifelong learning champions, and help them achieve mastery in their respective fields. 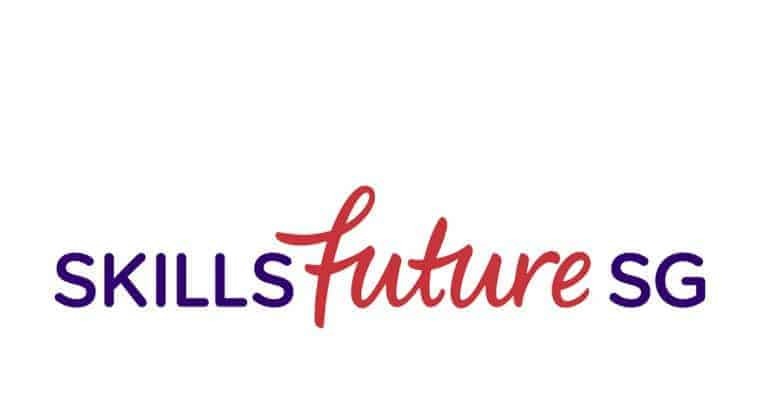 The SkillsFuture Fellowships honour these individuals as masters of skills and mentors of future talent, with a monetary award of $10,000 to support their continued journey towards skills mastery. The monetary award can be can be used for a wide range of skills deepening and upgrading courses that could be conducted locally or overseas. This half-day workshop is jointly organised by SkillsFuture Singapore and Ernst & Young. Delivered by Ernst and Young (EY), the SkillsFuture JumpStart! 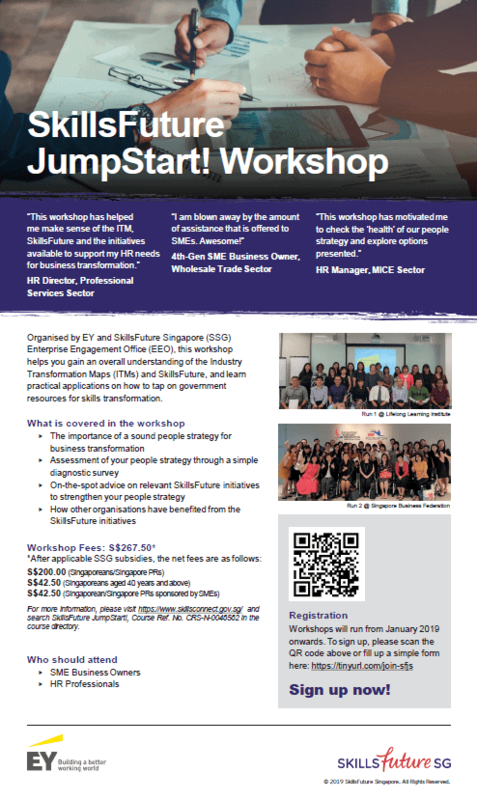 Workshop is designed for enterprises that are keen to learn how to operationalise their people strategy and effectively tap on relevant government schemes to support their people strategy to achieve business goals. The regular price for this workshop is $267.50. For SMEs and/or Singapore citizens who are aged above 40, it will only cost $42.50. More details of the workshop can be found in the attached flyer. For queries/registration, please write to: [email protected] or call 67181721. Learning Enterprise Alliance (LEA) is an initiative by Institute for Adult Learning (IAL) that could boost your enterprise transformation journey in 2019. Tap on IAL’s Certified Workplace Learning Specialists to re-design work and workplaces and optimise performance. Benchmark against global best practice companies with high performing work culture. Please view the following attachment to find out more or contact Ms Priscilla – [email protected] Do note that LEA application closes on 28 Feb 2019!